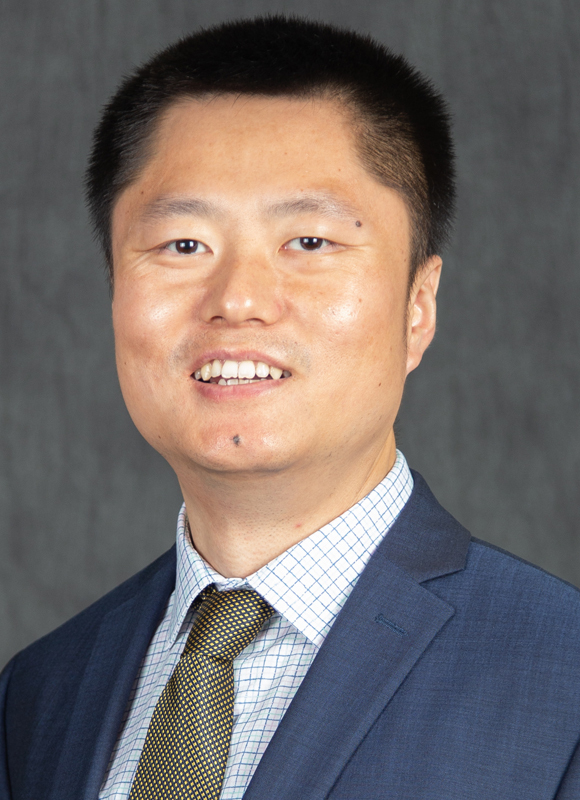 Dr. Yanchao Liu is an Assistant Professor in the Department of Industrial and Systems Engineering at Wayne State University. Dr. Liu received his Ph.D. in Industrial and Systems Engineering from the University of Wisconsin-Madison in 2014. His area of concentration was optimization methods with applications in power and energy systems. He received his M.S. in Industrial Engineering (IE) from the University of Arkansas in 2008 and his B.S. in IE from Huazhong University of Science and Technology in 2006. Prior to joining Wayne State University in 2017, he was a Data Scientist and Manager of Advanced Analytics at Sears Holdings Corporation and subsequently Director of Brand Marketing Analytics at Catalina Marketing Corporation. I am looking to recruit Ph.D. students to start in the Fall semester, 2018. An RA or TA position with tuition coverage and stipend will be offered. Students with solid background in mathematical programming, optimization, statistics and computer programming are encouraged to apply. Please send me your CV and transcripts to apply. Michael C. Ferris and Yanchao Liu, “Modelling Demand Response in Organized Wholesale En- ergy Markets”, Optimization Methods & Software, vol 31:5, 2016. Yanchao Liu, Jesse T. Holzer and Michael C. Ferris, “Extending the Bidding Format to Promote Demand Response”, Energy Policy, vol. 86, pp 82-92, 2015. Yanchao Liu, Michael C. Ferris and Feng Zhao, “Computational Study of Security Constrained Economic Dispatch with Multi-stage Rescheduling”, IEEE Transactions on Power Systems, vol.PP, no.99, pp.1-10. Yanchao Liu and Michael C. Ferris, “Payment Rules for Unit Commitment Dispatch”, The Electricity Journal, 26(4):34-44, 2013. Yanchao Liu and Michael C. Ferris, “Security-constrained Economic Dispatch using Semidefinite Programming”, Power & Energy Society (PES) General Meeting, Denver, CO, 2015. Manuel D. Rossetti and Yanchao Liu, “Simulating SKU Proliferation in a Health Care Supply Chain”, Proceedings of the 2009 Winter Simulation Conference (WSC), 2365-2374, 2009. Yanchao Liu, John R. English and Edward A. Pohl, “Application of Gene Expression Program- ming in the Reliability of Consecutive-k-out-of-n:F Systems with Identical Component Reliabilities”, ICIC 2007: The 3rd International Conference on Intelligent Computing, Springer, 217-224, 2007. Yanchao Liu, Liang Gao, Yan Dong and Baolin Pan, “A New Method for Finding Constant Terms in the Context of Gene Expression Programming”, Proceedings of the International Conference on Bio-Inspired Computing - Theory and Applications, BIC-TA, 195-200, 2006.